Almotamar.net - A closing statement of the Yemeni-European Joint Committee that concluded its meetings in Brussels on Wednesday emphasized the rising of the ceiling of development aid of the European Commission (EC) of the Regional Development Programme for Yemen for 2011-2012. The statement pointed out that the regional development programme would focus on supporting areas of thee good governance , implementation of the national agenda for reforms , improvement the environment of investment and businesses , modernization of civil service and development of communities, improvement the standard of living as well as concentrating on food security and supporting fish wealth, supporting the sector of public health and reproductive health , social care fund and emergency assistance. The committee meeting , co-chaired by Yemen's Deputy Premier for Economic Affairs, the Minister of Planning and International cooperation Abdul Karim al-Arhabi and for the European side by General Director External Relations for the Middle East and South Mediterranean Sea , the committee emphasized the importance of maintaining cooperation and enhancement of bilateral developmental, economic and political relations with the European Union. The statement stressed the increase in the volume of European assistance to Yemen , particularly by the EC, in the way enhances and supports the Yemeni government efforts in dealing with all economic and developmental challenges. The EC final statement urged for providing more available finances for Yemen through other mechanisms of funding and encouraging the European donor countries , having no presence in Yemen, to enlist Yemen among the countries of priority in receiving necessary development aid to enable it ,under the limitedness of its resources, to continue its development efforts . The statement has drawn the attention to the importance of the role played by the Gulf Cooperation Council (GCC) states in pushing forward the development wheel and the importance of pushing forward the process of Yemen integration in the Gulf Grouping , emphasizing the EC and the EU the in supporting Yemen and contribution to accelerate its accession to the World Trade Organisation (WTO). Meetings of the Yemen-European Joint Committee was attended by representatives for EC, Development Assistance Commission, Commission for Humanitarian Aid, representatives for the European council , chaired by present Sweden Kingdom chairmanship, the EU Secretariat and representatives of the EU states members. On the other hand, Deputy Prime Minister for Economic Affairs and Minister of Planning and International Cooperation Abdul Karim al-Arhabi met in Brussels on Wednesday with European Commissioner for External Relations Benita Ferrero-Waldner. with all economic cadres and technical expertise. 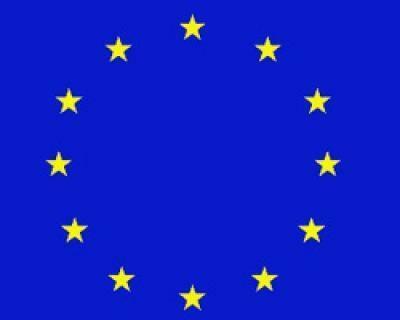 The European official reaffirmed support of EU and EC to Yemen's unity, security and stability, indicating that the EC would present all aspects of support to Yemen and raise the development aid. The meetings underlined the development aid plans for the next years so as to contribute to strengthening the government's efforts to continue reforms and the economic, social and political development process. The EC decision for raising the ceiling of development assistance for the period 2011-2013 comes one day after the EU States Foreign Ministers renewal of their adherence to support Yemen's security, stability and unity and their support for the Yemeni government efforts aimed to spread stability over the country's territories. Yemen had earlier welcomed the official statement issued by the EU Foreign Miniatures that affirmed the EU Union standing by Yemen's security, stability and unity. Al-Arhabi expressed the Yemeni government appreciation of the EU states and their willingness to stand side by side with the Yemeni government in supporting its efforts of facing the political, economic and development challenges.